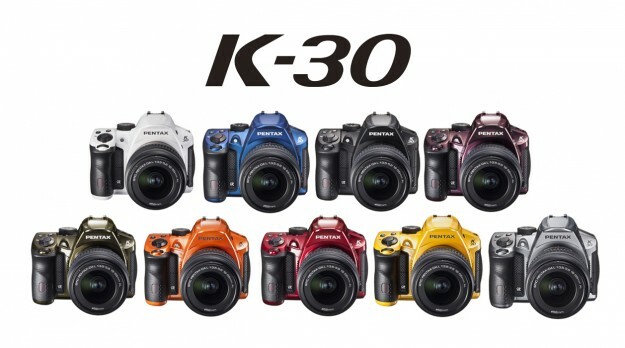 Are you thinking to buy a new digital camera in 2013? Perhaps you need to consider Pentax digital camera not only considering the Canon, Nikon or Olympus. Pentax is a Japanese camera optics and established since 1919 in Japan and now has many companies are located in the continent of Asia, America, and Europe. Pentax itself has begun to introduce SLR Camera Products in 1952. If you are a beginner or a professional photographer who does not want to bothered by the weather conditions, Pentax has launched the Pentax K-30, a powerful camera in all weather and temperature, even waterproof and anti-dust. By using a Pentax K-30, it will not miss an important moment for granted even when the weather is not too friendly though. Designed with the ability to withstand water and dust, Pentax K-30 is suitable for you the photographer who often are in the outer regions of space. Pentax K-30 is present in the package body is sturdy and durable, with a large grip handle design. Extra security features include its durability in all weather conditions, anti-dust, waterproof, and anti-freeze until the temperature of -10? Pentax K-30 armed with 16.3-megapixel CMOS sensor with image support Pentax Prime M processor, so your camera can be used to take photos and record videos in Full HD 1080p quality with 30 fps or 720p at 60 fps. ISO options available also quite comprehensive, ranging from ISO 100 to ISO 12800. If needed, you can also increase up to ISO 25,600, use Custom Function feature. The camera also features sensor module SAFOX IXI + AF useful to increase the speed in autofocus mode. This technology also increases the accuracy and speed of a moving object detection and autofocus performance increase when you use a telephoto lens. Features autofocus Pentax K-30 consists of 11 points as cross processing, which can produce sensational colors. You can also make creative photo with the HDR feature. If you INGN make a movie or a video, it will get a quality full HD 1080p video @ 30 fps. Viewfinder on the Pentax K-30 is a 100% visual coverage. If you're lazy to use manual features, then you can use the Auto Picture and Scene modes consisting of 19 choice of shooting conditions. Pentax also embed Pentax Shake Reduction function in the camera body so any lens you attach to the camera, then the Pentax K-30 you can use it with more stable. If you are a fan of sports photography, Pentax K-30, then you can rely on features burst mode with a speed of 6 frames per second. This camera is designed for outdoor photography, so if needed, you can use the battery holder, the Pentax D-BH109. Thanks to D-BH109 so you can put 4 AA batteries as a power source a replacement if the battery runs out of power lithiom ion standards. Accessories like this are not found in the other Digital SLR cameras. 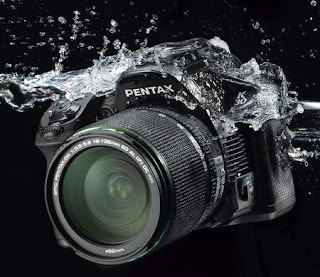 Pentax K-30 combines a compact and lightweight design, with a bandage powerful features for outdoor, waterproof and impact resistant. If Canon or Nikon appear in limited colors, black or silver, the Pentax K-30 casing is available in many colors such as Crystal Black, Crystal Bordeaux, Crystal Green, Red Crystal, Silver Crystal, Crystal Yellow, Crystal Orange, Silky Blue, Silky Green , Silky Red, Silky Silver, Silky White, Bordeaux Silky, Silky Silky Yellow and Orange. What color do you like?